DENVER, Feb. 01 /CSRwire/ - Newmont Mining Corporation’s (NYSE: NEM) (Newmont or the Company) President and Chief Executive Officer, Gary Goldberg, has signed the World Economic Forum’s (WEF) ‘Compact for Responsive and Responsible Leadership’ on behalf of the Company. The Compact is sponsored by the International Business Council of the WEF and commits signatory businesses and their boards of directors to creating a corporate governance framework with a focus on the long-term sustainability of corporations and the long-term goals of society. Recently, Newmont was recognized for leading sustainability performance – and as the most improved company in the mining sector – in the 2017 Sustainability Yearbook. The Yearbook is published by RobecoSAM, a sustainability investment firm that manages one of the most comprehensive databases of financially material sustainability information in the world. This database is also used to develop the Dow Jones Sustainability World Index (DJSI World), which ranked Newmont as the mining industry leader in both 2016 and 2015. Newmont was the first gold company named to the Dow Jones Sustainability Index in 2007. 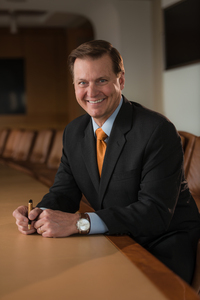 In addition to being named the mining sector’s top performer overall in 2016 for the second year running, Newmont also received the industry’s top scores for health and safety, climate strategy, water management, corporate citizenship, risk and crisis management, asset closure management and environmental management systems. More information on Newmont's safety, economic, environmental and social performance can be found in the company's annual sustainability report, Beyond the Mine. The report is published as part of Newmont’s ongoing obligations as a founding member of the International Council on Mining and Metals and in accordance with the company’s commitments under the United Nations' Global Compact and the Voluntary Principles on Security and Human Rights. For the latest news and information about Newmont, follow us on Twitter, Facebook and LinkedIn. Newmont is a leading gold and copper producer. The Company’s operations are primarily in the United States, Australia, Ghana, Peru and Suriname. Newmont is the only gold producer listed in the S&P 500 Index and was named the mining industry leader by the Dow Jones Sustainability World Index in 2015 and 2016. The Company is an industry leader in value creation, supported by its leading technical, environmental, social and safety performance. Newmont was founded in 1921 and has been publicly traded since 1925.